Evelyn Greenslade: How was America? Muriel Donnelly: It made death more tempting. 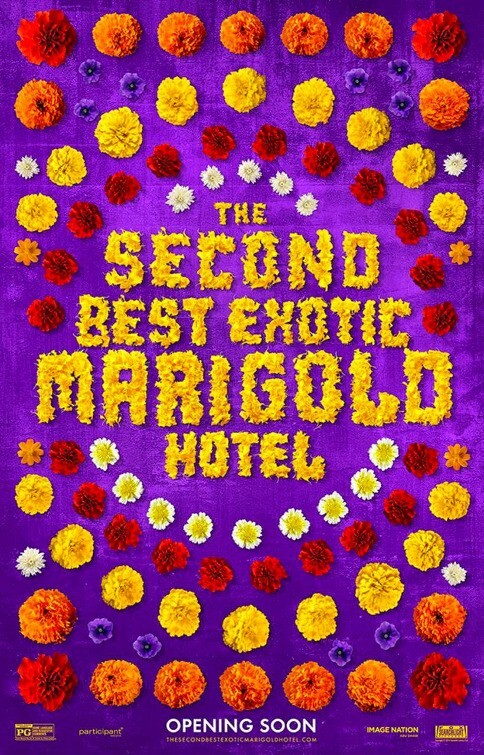 The Second Best Exotic Marigold Hotel is the sequel to the 2011 movie, The Best Exotic Marigold Hotel. The movie stars Maggie Smith, Dev Patel, Dame Judi Dench, Richard Gere, Bill Nighy and more. This movie takes place a couple of years (or months) after the previous movie. Sonny (Dev) and Mrs. Donnelley (Smith) are in the U.S. trying to get funding to build a second hotel. They leave the meeting, having convinced them and they agreed to send an inspector. The two return to the hotel to see that the wedding preparation is going quite well. A little later, two guests arrive at the hotel and Sonny thinks that Guy Chambers (Richard Gere) is the inspector and hence treats him better than the other guest, Lovinia Beech. The movie is just brilliant. It was well written, the dialogues were brilliant and absolutely gems. Sonny and Mrs. Donnelley had the best dialogues in the movie. Their acting was superb, and what else can one expect from a movie filled with the greats such as Judi Dench and Maggie Smith. The scenes were shot beautifully and the music just complimented the scenes. Especially the final dance number! That was the single most cutest thing I have ever seen in a movie. All the “oldies” dancing to Jhoom Barabar Jhoom was the best thing ever and was just the icing on the cake! I absolutely loved this movie and I’m so glad that they didn’t give it a sad ending. Sonny Kapoor: It takes team work to make a dream work.